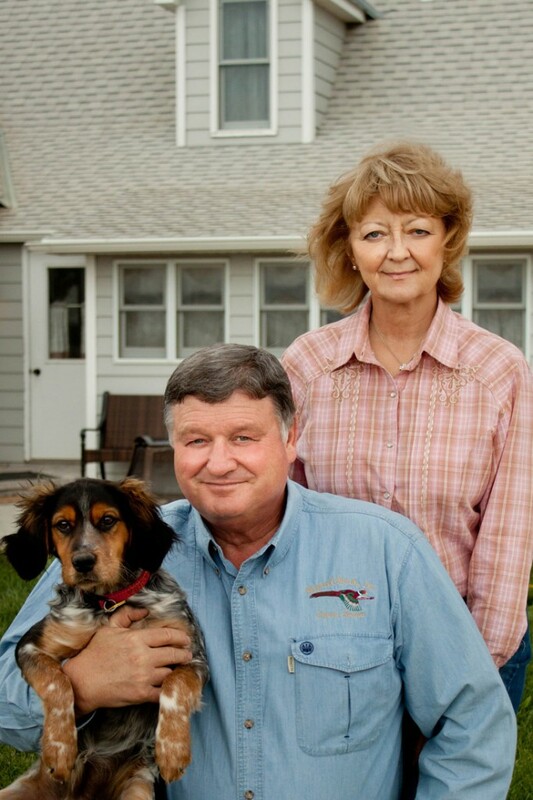 The ranch & hunting operation are owned & managed by Keith & Debra Houghton. Keith is the fifth generation of the Houghtons that homesteaded the ranch near Tipton, Kansas. He was a professional airline pilot for 33 years, retiring in 2011. Debra’s experience as an airline flight attendant has been helpful in managing the hospitality services of the ranch’s development. The hunting headquarters are in the middle of the Houghton Ranch, homesteaded in 1872. The Carr Creek, overlooked by the Blue Hills Range, is a wonderful setting for upland gamebird hunting. Traditional hunts in grain fields bordered by native grasslands offer our guests the same experience that several generations of our family have always enjoyed. Small hunting parties are led by our gunless guides/dog handlers, equipped with a four-door, four-wheel-drive one ton truck. Hearty country gourmet is the table fare that our guests remember. The best compliment that we receive is that our services are “seamless” – from the hunting, to the meals, comfortable guest facilities, bird dogs and accommodating staff.